JonnyG has corrected me that actually our anniversary show is 9th July :#) so, ahem, get those requests in for 2nd of July which will be a normal show. As normal as we ever get anyway. 80s Time Machine Show 47 is now on Mixcloud! Next Show – Sunday 11th June – 16:00 – get those requests in! 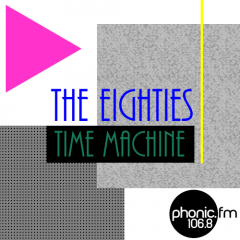 80s Time Machine Show 46 is now on Mixcloud! Next Show – Sunday 4th June – 16:00 – get those requests in!